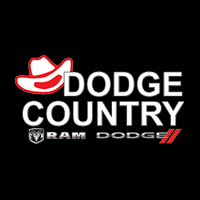 Welcome to our Dodge and RAM Body Shop at Dodge Country, located at 112 Wolf Street in Killeen, TX. Our body shop is here to serve our customers from Killeen, Copperas Cove, Ft. Hood and surrounding Central Texas areas. The Dodge Country Body Shop has been in business for over 20 years and we have a great reputation. We offer collision repairs, restorations and alignments- No job is too big or small! Please use the buttons below to schedule a service appointment or contact our service department. We can be reached by phone at 888-891-3758. Dodge Country Body shop is a part of the “Select Program”. We perform direct repairs for insurance companies. Call your insurance company and ask them about Dodge Country Body Shop. Need a tow? We’re here to assist you 24/7 365 days a year.